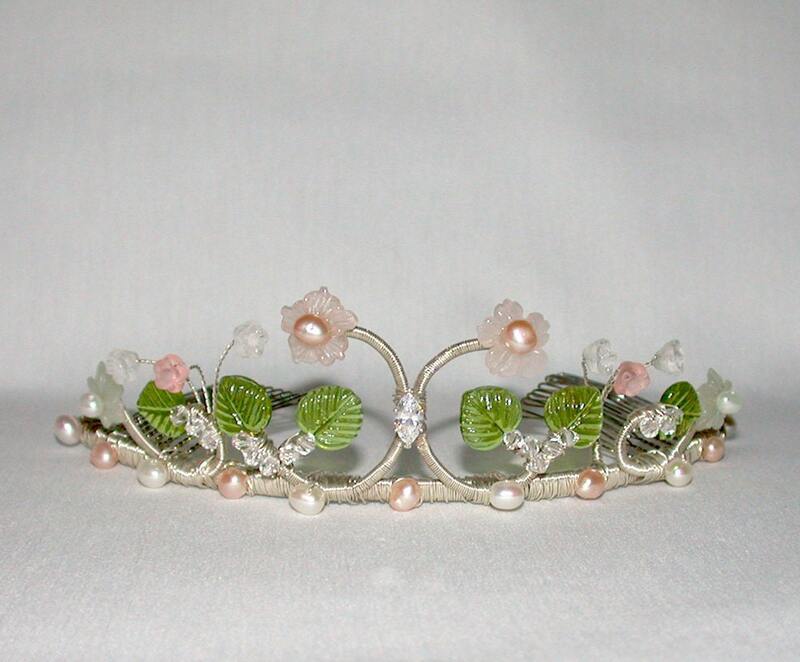 This lovely tiara was inspired by the pink rose garden. It’s playful design is created using combination of fine hand carved gemstones, cultured freshwater pearls, crystals and glass leaves. This tiara measures about 1 ½” high and 7” long. It comes with 2 small combs attached for easy positioning in your hair. Available in gold, rose gold or silver finish.